When reporter Polly Greeks interviews a man whose goal is to walk the entire length of the Great Wall of China, she is so inspired she throws in her job and joins him. Instant attraction turns Polly Greeks and Nathan Gray into lovers, and together they trek 500 kilometres of the Great Wall, including many of its most remote and dangerous sections. 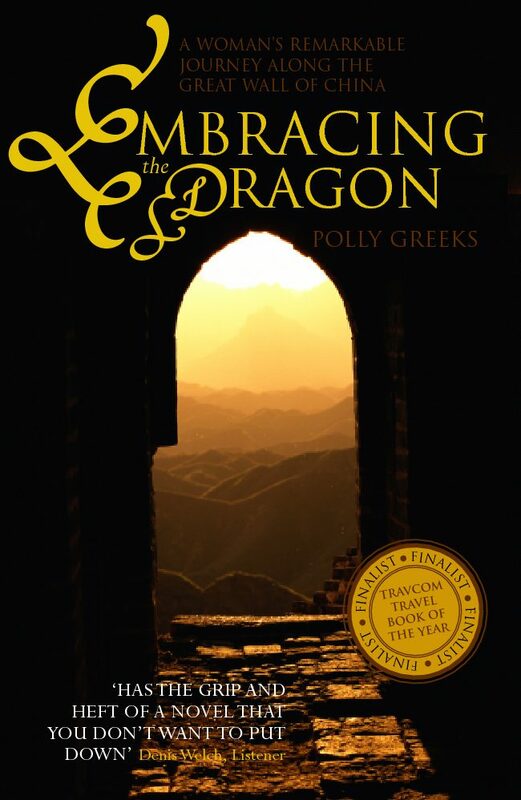 In Embracing the Dragon, Greeks vividly recounts her remarkable journey over jagged mountain passes, into villages which have never seen a European woman and through a blizzard that nearly claims her life. She also traces her increasingly tempestuous relationship with her lover and with the wall itself. Embracing the Dragon will enthrall those who thrive on adventure or only dream of it and all who are captivated by the history, mythology and crumbling might of the world’s greatest man-made structure. DENIS WELCH, New Zealand Listener.